gained a unique repertoire of sea stories, salty skin and a sunny smile. 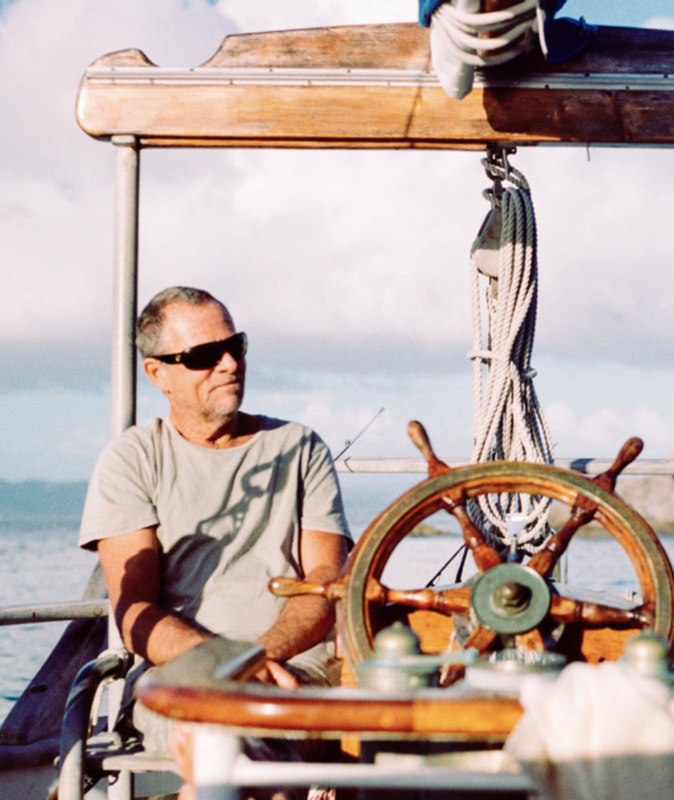 He has sailed the Mercury Islands and surrounding coastal regions extensively, knows all the best and pristine anchorages, best walks and most interesting sites. 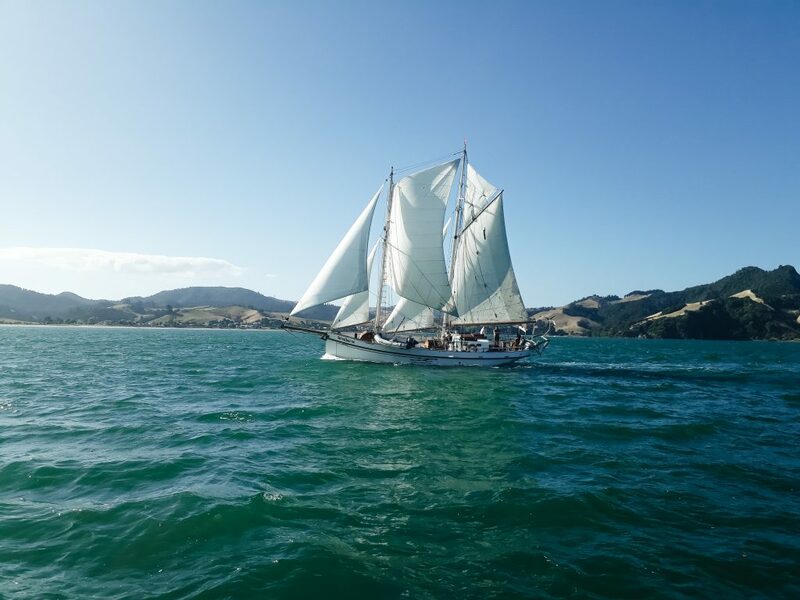 Windborne is a 1928 Topsail Schooner built in Porthlevin England by Gilbert & Pascoe Boatbuilders. She was built for a Doctor W.Frothingham Roach, a keen racer who named her Magnet. She raced as a Cutter in the 1928 fastnet race and was re rigged as a topsail schooner by 1930. She was hidden during WW2 to escape being taken by the Brittish Admiralty for coastal patrol work. She turned up in the 60s in Canada under the name of Huegenot and then left for New Zealand about 1975 under the name of Windborne. Only now are we piecing together her lost history which includes a well known folk singer wooing his wife to be, and recording songs on board. Recently Windborne has completed several off shore passages to the tropical Islands of Tonga and Fiji for the winter season providing adventure and excitement for the lucky crew. Much work has been done over the years to maintain Windborne to a high standard including re fastening the entire hull with bronze. She is registered in the NZ survey system (MOSS) and complies with the rigorous safety standards.